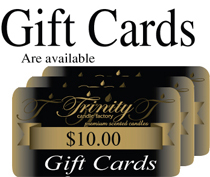 Trinity Candle Factory Premium Scented Lemon Chiffon - Traditional - Soy Jar Candle - 18 oz. This Traditional style jar candle comes in all fragrances, premium scented for maximum fragrance throw. With a 120-140 hour burn time, cotton wick and premium scent, this candle is an absolute must. 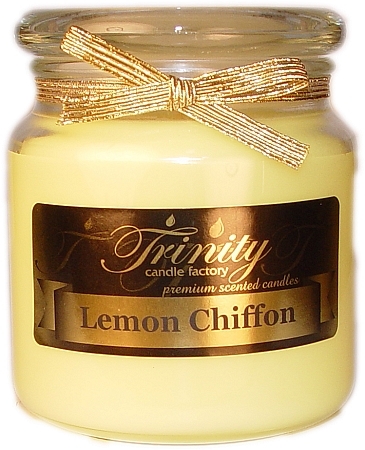 This Lemon Chiffon fragrance smells like a hot steaming Lemon Chiffon Pie with a scoop of ice cream on the side. 100% Satisfaction Guarantee. I bought this candle for my mom. This is her favorite candle and she can not find it any where in Tulsa. She loves it that now she can purchase Lemon Chiffon again.